Skye Gravestones | Ian & Ellen (Rome) Stuart. Ian & Ellen (Rome) Stuart. 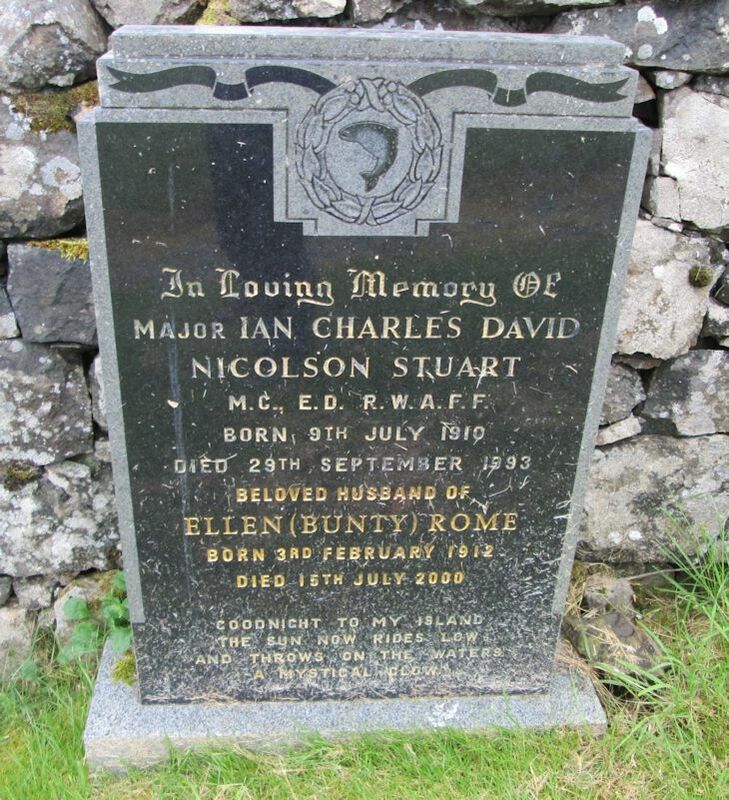 In loving memory of/Major IAN CHARLES DAVID/NICOLSON STUART/M.c., E.D. R.W.A.F.F./born 9th July 1910/died 29th September 1993/beloved husband of/ELLEN (Bunty) ROME/born 3rd February 1912/died 15th July 2000. "Goodnight to my island/the sun now rides low/and throws on the waters/a mystical glow." Picture Added on 23 April 2018.